We all have places that we go to get away from daily realities. There are bars, boutiques, bookstores, or a number of other places where we seek shelter. In addition there is the pen and journal where we pour out our anguish or frustration about work and life in general. I enjoy sipping on a cocktail from time to time, love to shop for shoes or a new garment, and bookstores always make me smile. However, I find the greatest peace when I visit an art museum or my local library. 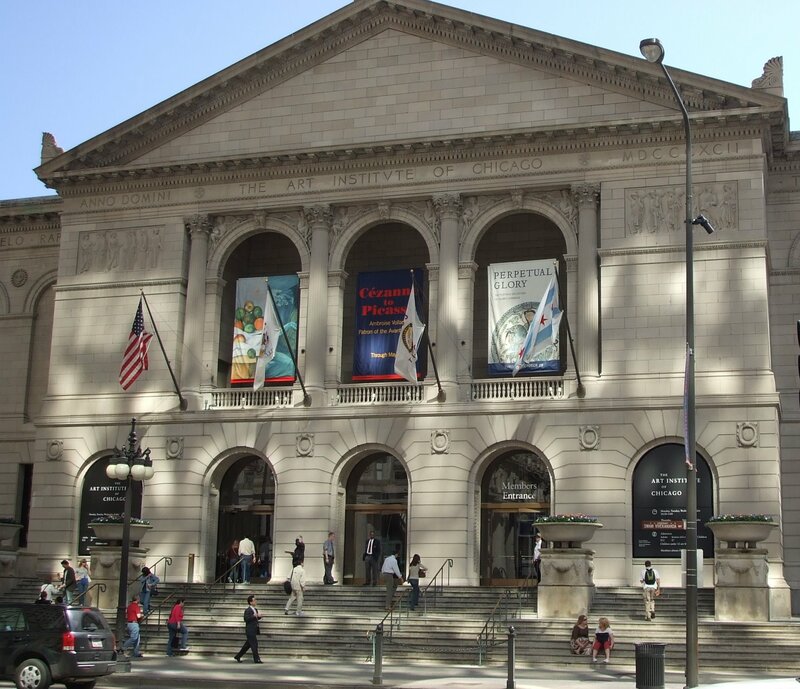 My favorite art museums are located in Chicago, IL my hometown and Columbia, SC where I now reside. Visiting the Art Institute of Chicago (AIC) with my mom when I was approximately 9 years old is where I learned about the world renowned architect Frank Lloyd Wright as well as my favorite artist Georgia O’Keefe. Whenever, I am home I try to visit my beloved museum and walking up the grand marble stairs, to the permanent collections always brings joy to my spirit. My last visit was some time ago and I was happy to see that the museum was in the middle of renovation and expansion. The expansion would allow more work to be on display as well as provide additional storage space; great art should have a chance to be shared with the world. Within my current city of residence, I often seek refuge within the galleries of the Columbia Museum of Art (CMA), where a chandelier in the permanent collection made me decide to join as a South Carolina resident. As would be expected the CMA is smaller in size than the AIC, however it is not lacking in beautiful and inspiring art work. One of my favorite parts of the museum is an affiliate organization the Columbia Design League, whose focus is on education and informing its members about good design. Things that are aesthetically pleasing make us happy, which is why it is important to support and visit places dedicated to arts and culture. As much as I love to visit art museums, I absolutely adore my public library. I received my first library card in 1971 on a kindergarten trip to the Fredrick Douglass Branch of the Chicago Public Library system. I do not recall the first book I checked out but I still remember that magical card that let me take books home. During that time the date of return was stamped inside the book and the sound of the stamp always made me happy. During numerous school visits we would watch movies on an 8mm projector; the whirring sound of the projector along with the crinkle and smells of books enveloped me taking me too far away places. In my innocence, I imagined that the librarians had read all of the books within the concrete and marble walls. 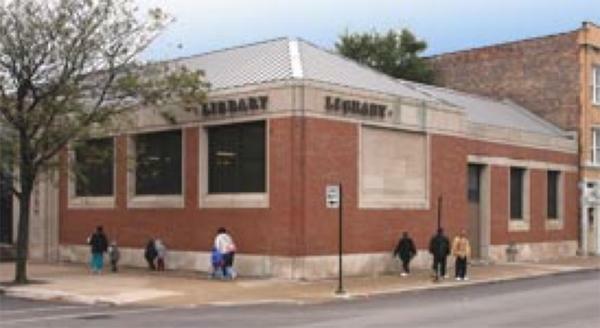 As I got older I explored other public libraries within Chicago and a close second to my favorite was the Cultural Center Branch. Often the Cultural Center was mistaken for the main branch; however, it was merely the downtown branch and is where I learned about my favorite poet Gwendolyn Brooks. I eventually met Mrs. Brooks after a reading at the library and got bitten by the poetry bug. A large part of my creative self is due to my exposure to events and exhibits at public libraries and art museums. During the 1970’s and 80’s there seemed to be an extensive importance of the need for libraries and museums. Within some circles the need for these institutions are still understood but it seems that within the legislative chambers of state and federal government the importance is waning. There shouldn’t be a requirement of citizens to choose funding for schools, libraries, or museums they are all equally important. If we are to be considered a super-power we must be conscious to the fact that arts and culture in addition to our democratic system is needed in these United States. I encourage you to support your local libraries and art museums through financial donations and memberships but most importantly by visiting them on a regular basis.